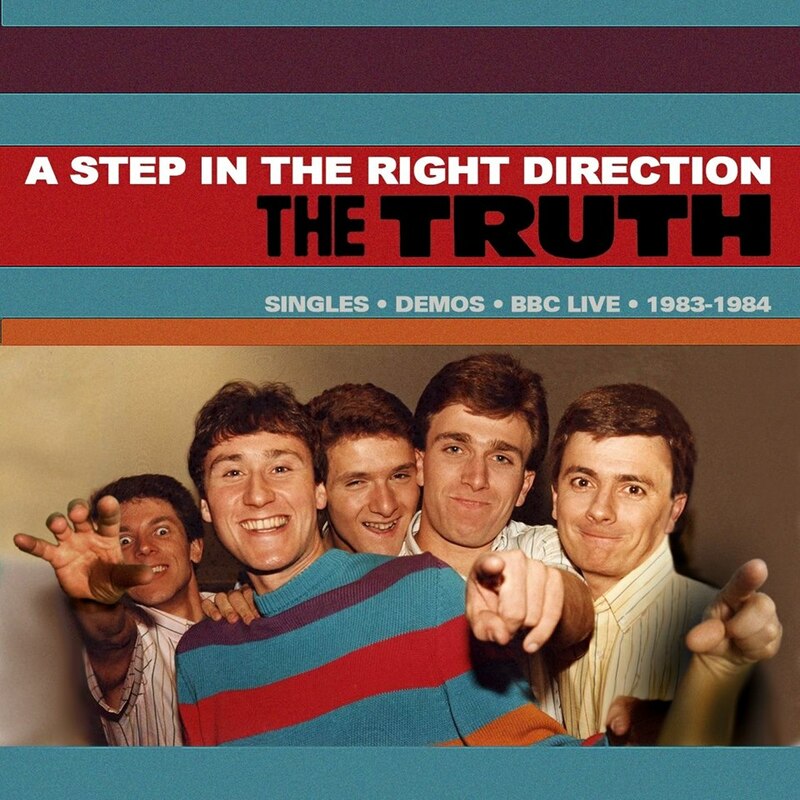 Discussions Magazine Music Blog: THE TRUTH: An EXCLUSIVE Q&A with British Blues/Mod icon DENNIS GREAVES! 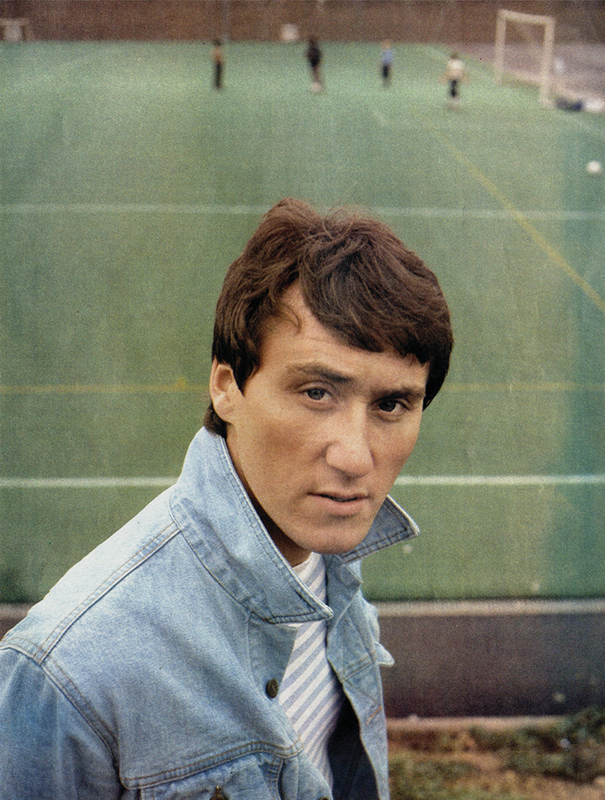 THE TRUTH: An EXCLUSIVE Q&A with British Blues/Mod icon DENNIS GREAVES! The U.S. first caught wind of The Truth when I.R.S. 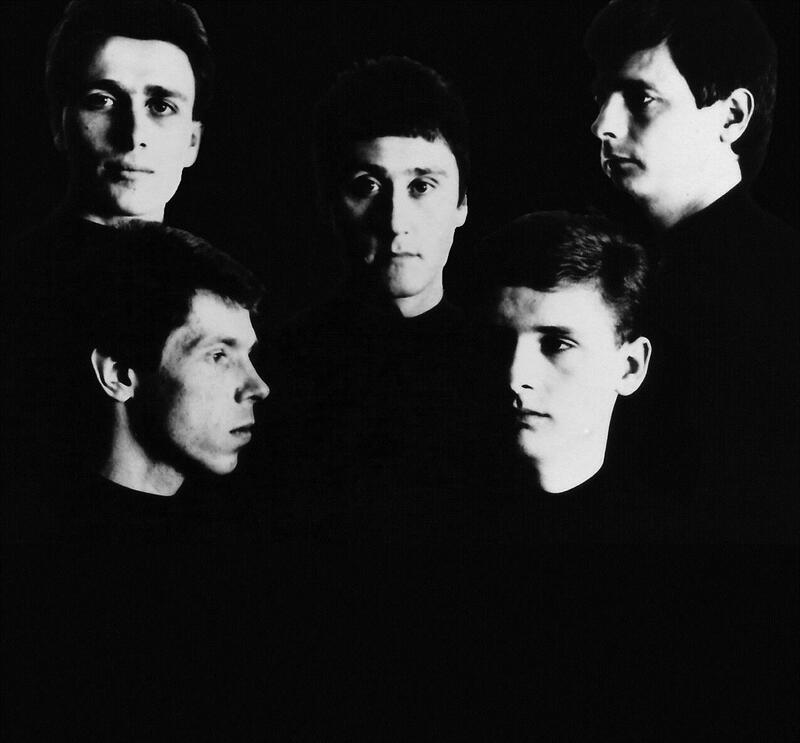 Records released their debut album Playground in 1985. Their succulent blend of Mod, Psychedelia, Soul and Pop was a breath of fresh air compared to the dross that was filling the Top 40 at the time. With a batch of great tunes, a dynamic live show (that this writer was able to catch a few times) and more dedication than a Casey Kasem countdown, The Truth began to build up a following of believers here in the States. While it may have seemed that the band came fully-formed out of nowhere, they actually had quite a bit of history behind them before that debut. Lead vocalist/guitarist Dennis Greaves had previously occupied the frontman position in British Blues band Nine Below Zero. When NBZ split in ’82, Greaves began piecing together his next project, The Truth. More soulful and melodic than the bluesy, energetic NBZ, Greaves settled on a line-up that included his musical partner Mick Lister on guitar and vocals, NBZ bassist Brian Bethel, Garry Wallis on drums and former Fabulous Poodles keyboardist Chris Skornia. The band became one of the most exciting live bands on the scene, injecting a huge dose of soulful Modness into a musical climate that had become stale and pretentious. 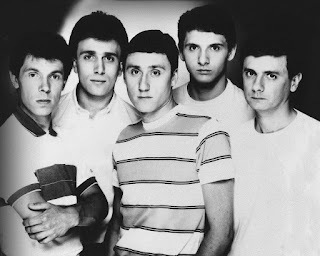 Signing with Formation Records (a subsidiary of WEA), the band toured incessantly and released three singles – in both 7” and 12” formats – in ’83 and ’84. Although they were armed with a lot of great material, Formation never pressed for a full-length and The Truth finally went to I.R.S. There they released the excellent Playground, which didn’t feature any of the tracks the band had spread out over their three singles/EPs. For the next three decades, those tracks would remain trapped in vinyl purgatory and never see an official digital release anywhere in the world…until now! NOTE: After Playground, The Truth continued for two more albums with only Greaves and Lister from the original line-up. After they split in 1989, Greaves reformed Nine Below Zero and continues to tour and record. The Truth have reformed for special one-off live performances and will do so in 2016 to promote this release. Stephen SPAZ Schnee was able to send over a few questions to Dennis Greaves, who graciously took time out of his busy schedule to answer. STEPHEN SPAZ SCHNEE: A Step In The Right Direction is just about to be released. How are you feeling about this project and the long journey it took to finally be released? This is the first time any of this will be released on CD to my knowledge. DENNIS GREAVES: I’m very pleased with the box set. A lot of fans helped with the artwork by sending in some great memorabilia and pictures – Dereck D’Sousa deserves a special mention for the front cover. And yes, to have these tracks available on CD finally is a nice feeling. SPAZ: When you went back through these early recordings by The Truth, were you surprised that you were able to compile this much material? DENNIS: Yes, because I had forgotten about how much we had written and recorded. We were non-stop on the road and in the studio for seven years. SPAZ: Do you think that this release might be the best representation of the band? Playground was a fantastic album on its own but these singles/EPs are just as indispensable. DENNIS: I think both are valid. By the time we got to record Playground, we had matured as a band and we were a bit tougher and had been on the road for a couple of years. The earlier stuff was more pop with Swain and Jolly – the producers – smoothing our rough edges quite a lot. SPAZ: Do you think that The Truth worked best as a live or studio band? Or both? DENNIS: We nearly got it right with The Truth. NBZ never got it right in the studio but The Truth got on the radio more and we were close to having a few hits. SPAZ: Going back to the beginning, Nine Below Zero was heading in a more melodic and less bluesy direction by the time they split. Did The Truth form because of that split or did Nine Below Zero split in order to make way for The Truth? DENNIS: I had fallen in love with the Hammond organ on NBZ’s Third Degree and got more into Soul and Motown. NBZ should have taken a break. A&M wanted us to make a 4th album and for NBZ to continue, but our management had different ideas. So NBZ split in April ‘82 and I had put The Truth together by the Summer of ‘82. 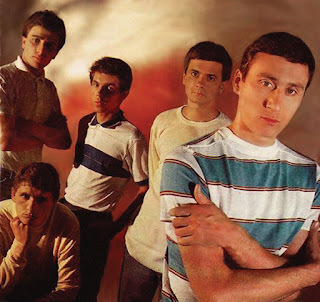 SPAZ: When you formed the band, did you have an initial idea of how you wanted it to sound, or did your style form organically as you began working with the band? DENNIS: I had the concept of two guitars and Hammond organ – a mix of the J Geils Band and the Motown sound. SPAZ: Did your NBZ fans take to The Truth immediately or did you have to rebuild a new audience from the ground up? DENNIS: Not a lot of NBZ fans bought into The Truth so from the ground up, we built a new audience with loads of gigs. There is, of course, some crossover but I’m too close. SPAZ: How did you end up recruiting the members of The Truth? SPAZ: You released a few singles and a live EP before your first official album. Were there initial plans to release an album around the time of these first few singles? DENNIS: Warner Brothers put all their efforts into Howard Jones and were not into us – especially Rob Dickens – so we never got to make an album. We had to go with Steve Thannet at I.R.S. for that. SPAZ: Back during the Playground tour, you were performing ‘new’ material that never saw the light of day including a track called “Only The Best Will Do.” Is there a chance that we may see another Truth archive release that may feature that song? Or does this include most of the existing unreleased material? SPAZ: Any chance of an album of new material by The Truth? Or are you too busy with Nine Below Zero? DENNIS: We have no plans at the moment. SPAZ: What’s next for Dennis Greaves, The Truth and NBZ? DENNIS: I’m just finishing a new NBZ album, booking an Autumn tour, going out on a few gigs with The Truth and I have this fantastic box set to promote. Life is good. SPAZ: What are you currently spinning on your CD and/or turntable in your spare time? DENNIS: Andy Williams, Spooky Tooth, Sonny Terry & Brownie McGhee, Jimmie Vaughn, Howlin’ Wolf and my son’s Spotify playlist. Here's a post I wrote about Dennis Greaves almost exactly six years ago!